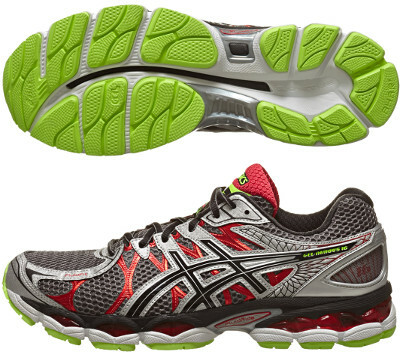 Asics Gel Nimbus 16 are neutral cushioned running shoes. The Asics Gel Nimbus 16 is the premium model from Asics targeting neutral runners looking for great cushioned and luxurious shoes. In women's models there is 3mm of additional height which helps relieving achilles tension. In addition, female models feature a lower-density top layer in the midsole, allowing women to better enjoy the benefits of midsole compression. Upper has been redesigned and now uses FluidFit™ technology with multi-directional stretch mesh with stretch reinforcements which combined with independently placed eyelets enhance comfort and provide exceptional fit.